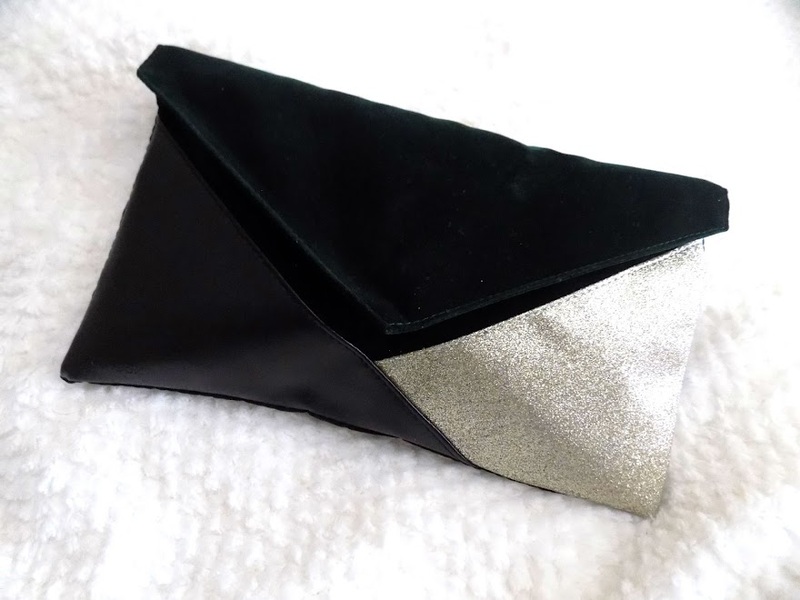 This month rather than getting a normal Birchbox, I received the Luxe Birchbag and the theme is All That Glimmers, which includes some must haves for the festive party season. Spoiler, I am really impressed with it this month and it's a great subscription service, so I am just going to get in to what was included this month. Now onto the products and first is the Skin & Co Sicilian Body Gel which is £15 for the full size. 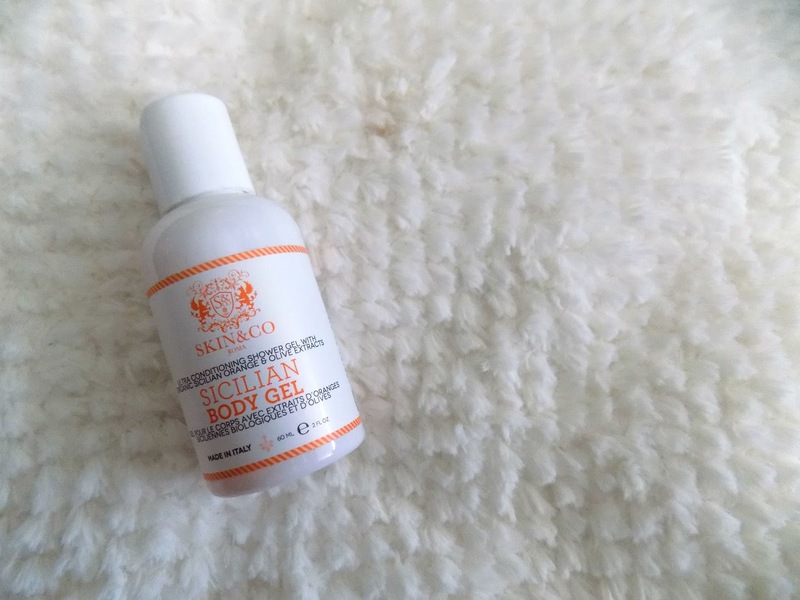 This is a zesty shower gel which purifies and moisturises whilst actually cleansing your skin. This smells delish and great for travelling. 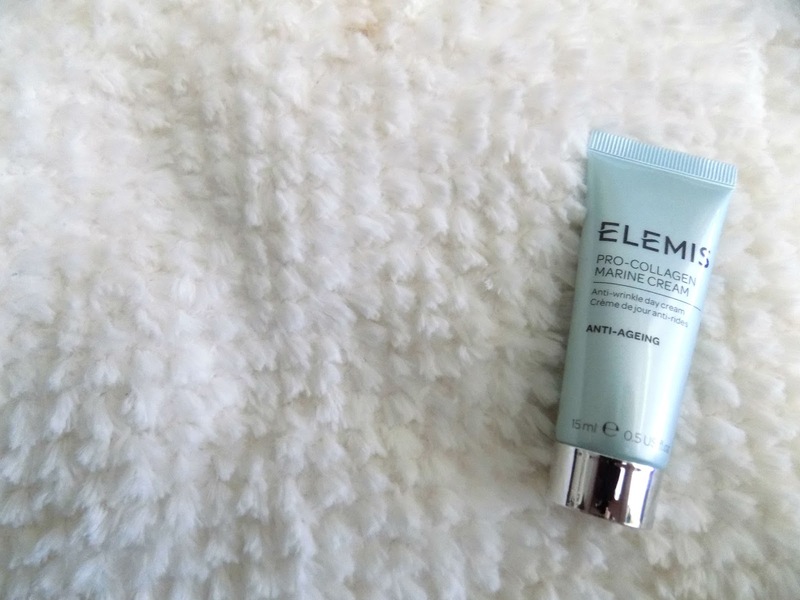 Now for a luxury product, this is the Elemis Pro-Collagen Marine Cream which for the full size costs a whopping £80 (I don't think even I would spend that much on a product) and they say this helps reduce wrinkles, firms skin and boost radiance in just 15 days which is a huge claim so I will definitely give this a try. Next is a great nail polish brand, the fantastic Ciate London Polish and this is in the shade Iced Frappe, which is £9 for the full size. This is a beautiful neutral shade which I love to wear in the Autumn/Winter. It's like a greige with a mauve/purple hint to it - I don't know if that is a real colour, I'm rubbish at describing colours. These are great polishes and these mini ones come In some great sets which are really great value for money. 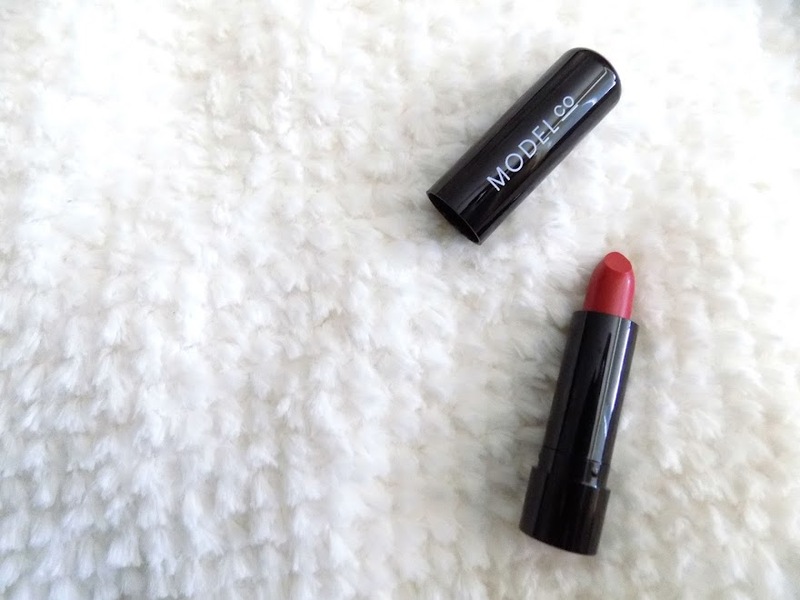 Now for the red lip, this is the Model Co Ultra Long-Lasting Lipstick in Stiletto which can be purchased in a set of 3 for £15.50. This is the perfect Christmas red, not too orange, not too pink and not too dark. I hope as it's a long-lasting formula that it's not too drying so I will definitely be giving this a try and report back. This is by far my favourite thing from the entire bag. This has a Benefit combo, the Puff Off! and the They're Real Push-Up Liner which are two products that I haven't tried from Benefit. These are £41 when purchased together and I am so excited to try these out. I have heard a lot about the liner and the full size of the eye treatment has an metal iron shaped applicator to soothe and de-puff and this travel size is just the product so it may work differently with the full size application method. But anyway, there's the Push-Up Liner to complete any party makeup look, and then for the morning after, the Puff Off! will soothe and de-puff tired eyes. This is a great duo and I am really pleased it came in this months Birchbox. 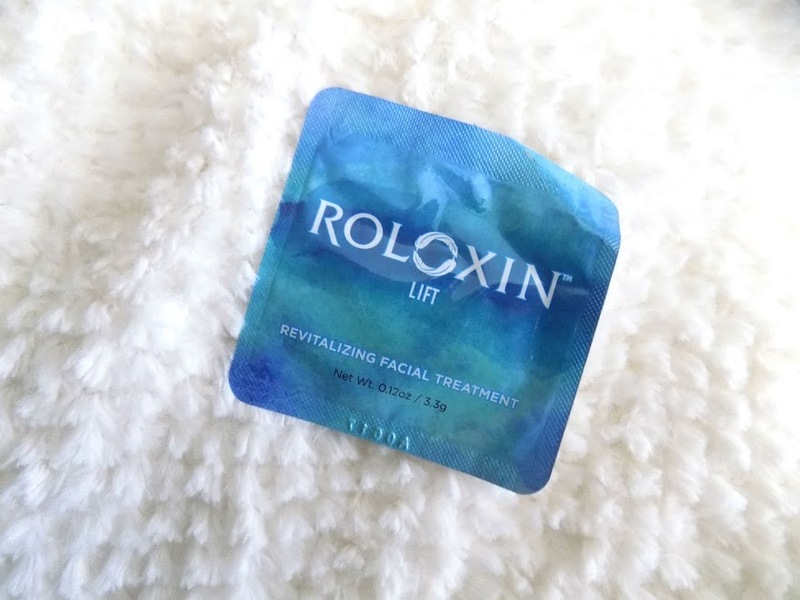 This is a beauty bonus in this months box, I mean bag, I mean Birchbox (ahh that's going to confuse me), and this is the Roloxin Lift Instant Skin Smoothing Mask which retails for £79 which is super expensive. They say this is great before a big party to diminish pores, firm the skin and boosts radiance for up to 24 hours? That's cool. 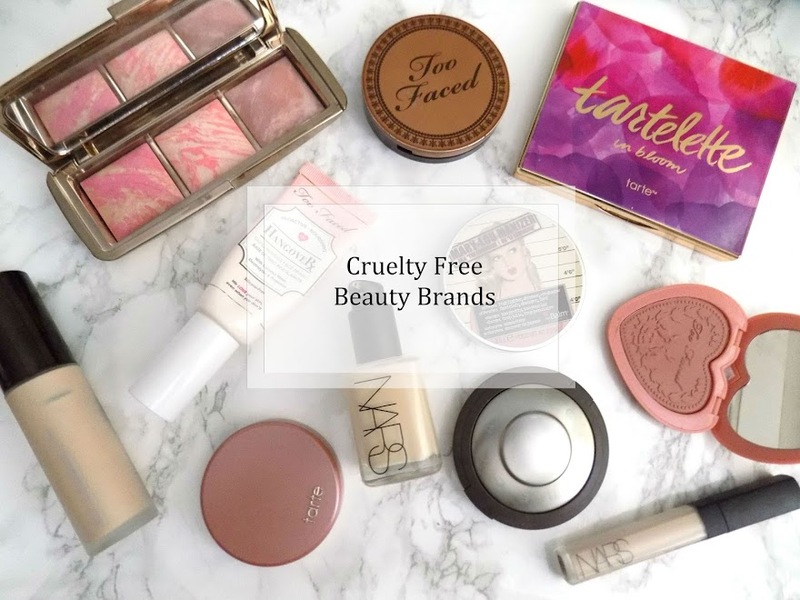 I will definitely give this a try and let you know what I think Again £80 is a bit too much for me to spend on my skincare but love to try out luxury skincare like this just to see how well it performs against drugstore products. I hope you enjoyed this post. Let me know if you have tried anything. Happy Sunday! What's your Christmas Party essentials?